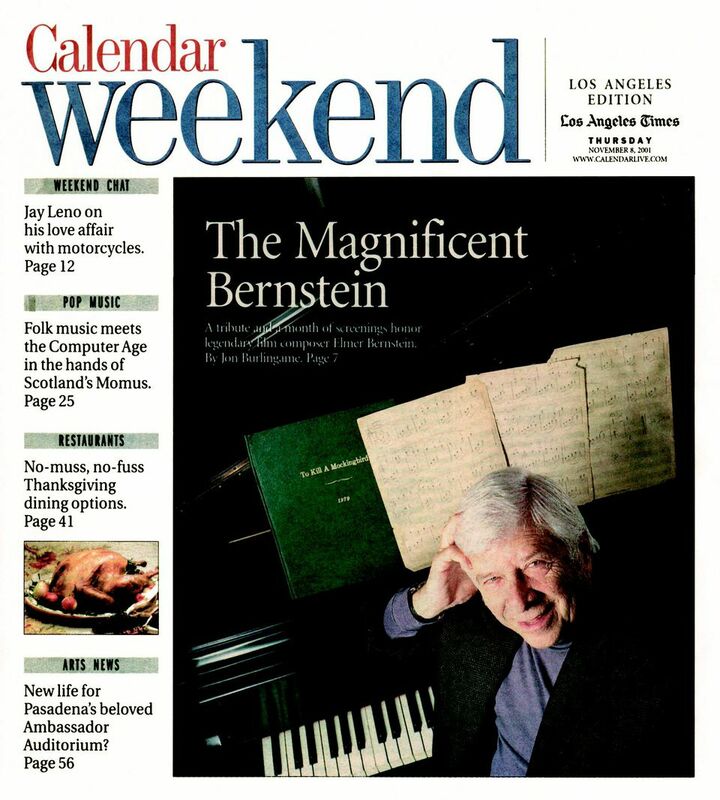 I was thrilled to be able to put Elmer Bernstein on the front page of the Los Angeles Times‘ Calendar section. He was being honored by the Motion Picture Academy for his half-century of composing for movies. It was a great year for Elmer; he was celebrated around the world. This was a big feature I wrote that chronicled his career (at least, as much as you can do in 2,400 words). Interviews were conducted with Elmer, Gregory Peck, John Landis, Martin Scorsese, James Newton Howard and Leonard Maltin. This entry was posted in Composers, Film Music, From the Files, Interviews and tagged Elmer Bernstein, Gregory Peck, James Newton Howard, John Landis, Leonard Maltin, Los Angeles Times, Martin Scorsese, Motion Picture Academy, The Magnificent Seven, To Kill a Mockingbird on November 8, 2001 by Jon Burlingame.